We make it easy to customize your bowl with endless toppings, proteins, mix-ins and more. Our journey with fish began way back in 1989 with the opening of Yanagi Sushi in Northridge, California. Over three decades, we’ve merged our traditional sushi roots with Hawaiian-style poké. The result? Poké Bar—a fast-casual dining experience with a modern twist. Today, we are committed to serving fresh-daily fish, premium sauces and top-notch ingredients in a way that’s fast, convenient, and (of course) delicious. Headquartered in California, we proudly serve our poké across the country and around the world! Visit a Poké Bar near you. How do you poké? 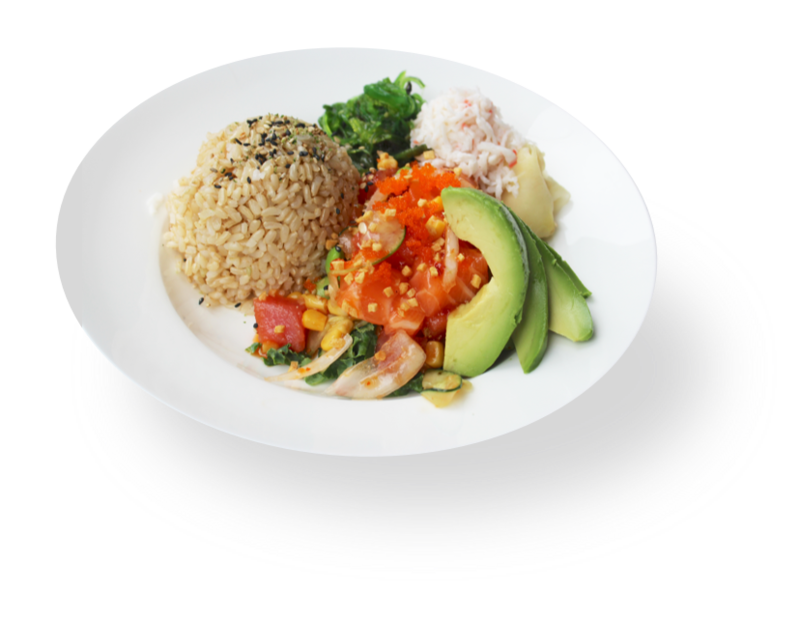 Our mix-ins make it easy to customize and create a healthy meal that’s just your taste. Your next bowl is only a click away. Copyright 2018, Poke Bar Restaurants. All rights reserved.